Oh, hi. How’re you? What’s that? These? Oh, these are nothing. They’re just a low-sugar low-fat dessert that has the taste of a chocolate chip cookie and the texture of a cake. It’s a cross between a cookie and a cake. And it’s diet friendly. And low-sugar. Do I need to say anything else, or shall I just tell you how to make them? Pre-heat the oven to 180C and line a baking sheet with baking parchment (or foil). Then sift the flour into a bowl, tip in the spread and rub the two together. Just use the very ends of your fingertips to do this, and shake the bowl occasionally to make the big lumps come to the top. 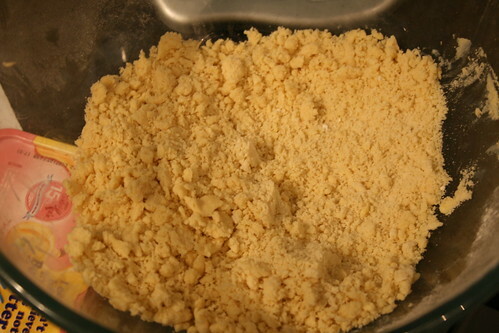 Ideally it will look like fine breadcrumbs when ready. Then mix in the sweetener. 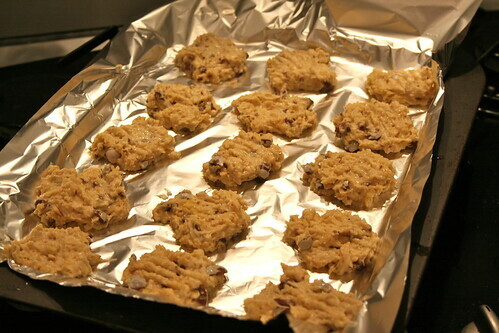 Add the chocolate chips, fromage frais and egg yolk. 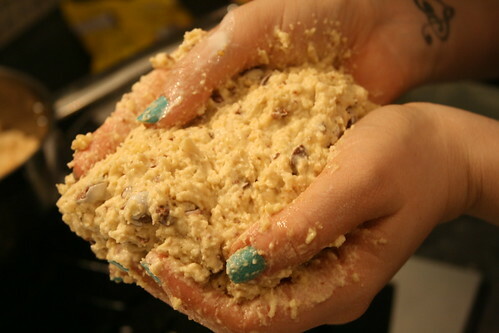 Stir together and use your hands to form a soft dough. Well, the recipe said it would be a soft dough. What I actually got was a big mush. Separate the mush into 18 portions. Roll each portion into a ball, put the balls on the baking sheet and use the back of a fork to flatten them. These look yummy. Would using a whole meal flour lower the syns??? They look divine, it’s the artificial sweetener that gets me. I find it too sweet! Or maybe it was the one I used from Tesco, it wasn’t splenda. Which sweetener do you use? These look fab! 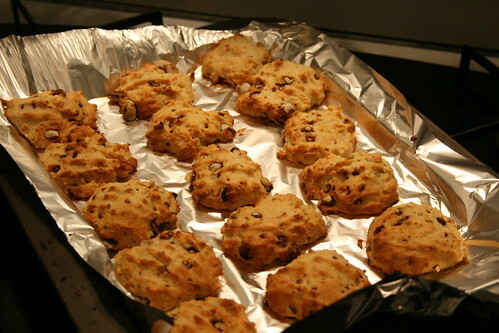 Loving all your recipes so far – 18 is a lot though…any idea how long these would keep in the biscuit tin?